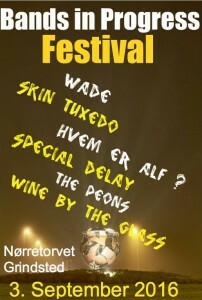 On august 13th we are playing Made In Esbjerg at 17.00. Made In Esbjerg is a three days festival at Tobakken Esbjerg. 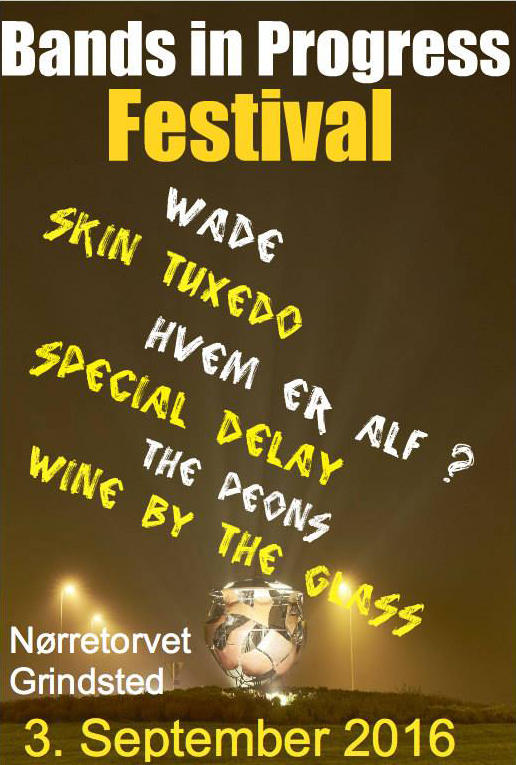 The festival is intended to gather some of the many talented musicians based in- or somehow connected to Esbjerg. 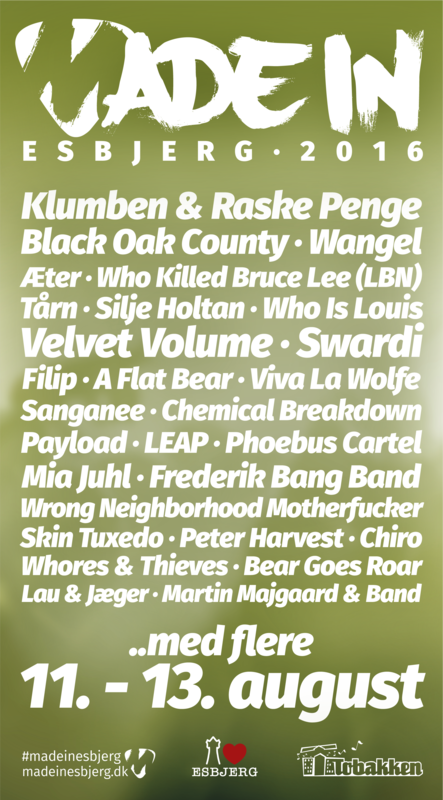 Bands in progress festival is a brand new event in Grindsted, where a few hard working volunteers managed to establish a festival, presenting som of the “bands in progress” based in the region. 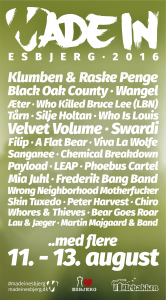 We are playing the festival on 3rd september at 15.30.